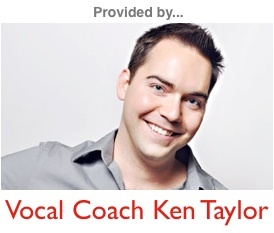 How Do I Stop Using My Throat Muscles While Singing? Hi, I really need to stop using my swallowing muscles when I sing. Can you help me do that? The first step to any change is knowing where you want to go. You’re already there, so you’re moving in the right direction. Now it’s about discovering ways to help you get there. In order to change, you’ve got to know when you’re using those muscles. So, it may be beneficial to sing with your hands gently placed on your neck on top of those swallowing muscles for a bit. Then, you’ll discover when you’re most likely to engage them. Then, start playing with different ways that you can sing through those areas of a song without clinching those muscles. Often times, this is going to require a little massage to remind them to relax along with a lessening of the vocal pressure you use while singing (though I would be sure to make sure you still maintain cord closure). This can be a tricky balance to find on your own, but be tenacious about playing with it and I bet you will. After you discover how to sing the parts of a song that you’d naturally want to engage those swallowing muscles on, your new goal is doing it consistently enough to create habit. That means doing it over and over until you no longer are thinking about it. It also means that if you’re unable to create that release one day, that you just skip out on practicing, as you’ll only be reinforcing bad habits. I hope this helps! Best of luck releasing your voice!